In 2004, when I watched my first R-rated movie in theaters that I bought an actual ticket for, I chose The Punisher. It was between that and Kill Bill vol. 2 which I watched the following Monday. This was even bigger than getting my license at the time and no, I’m not just trying to make a point. Sure, one matters more but I didn’t sneak into movies just because I wasn’t supposed to. And just now passing the decade anniversary of the Thomas Jane vehicle (April 16, 2004), I revisited it, just to see how well it’s held up. And how has it held up? After the eighty comic book movies that have been released since? Well, let’s see. Upon watching the Thomas Jane vehicle at the time, I was a bit disappointed. It wasn’t the Punisher from the comics that I knew. The simplistic brutality of the comic was gone and had been replaced by a slow and moody method killer. And though Frank Castle has always been methodical, it’s always been more about how to destroy his opponent as opposed to destroying their entire life first. Though many of the scenes, lines, and ideas are inspired by the comics directly (specifically the Garth Ennis storyline, Welcome Home Frank– still worth the read), there always seemed to be something missing from the movie that the comics were about. 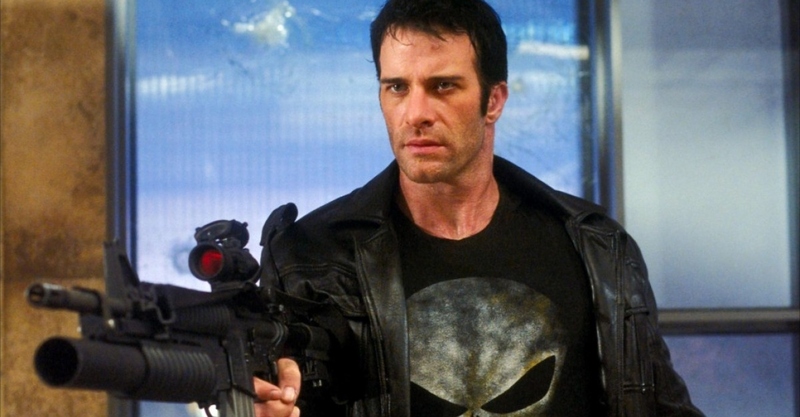 It wasn’t until the “rebootquel,” Punisher: Warzone was released in 2008 that I could put my finger on some of the missing ingredients of the Thomas Jane film. If you recall, Warzone starred Ray Stevenson as the titular character and though most people hated it (I know I did), it does have it’s followers and really is more true to the comic in many respects. Ray Stevenson looks the part more than Jane did with his intimidating physique and most the of the film has him simply shooting first and never asking questions. 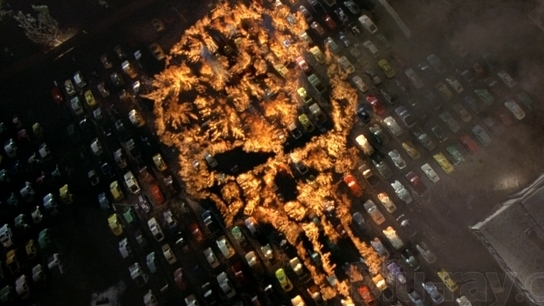 It was this that seemed to be missing from the 2004 Punisher. Thomas Jane’s character almost had too much to him. …And this one probably didn’t have enough. The problem with Warzone though, is that it’s just stupid. For some reason, this military rogue’s tactics include stabbing each target individually and then hanging and spinning upside down on a chandelier while mob goons all pile in through the same door. So maybe the 2004 Punisher had certain things right after all. It didn’t feel like the comic book really but as a movie overall, hits certain notes just right, especially psychologically. While at the time, I was looking for balls-out action, I wasn’t really taking into consideration how dark much of the content was. This guy’s entire family has been murdered and much of the movie involves Frank drinking himself into a stupor in his apartment as his trio of idiotic neighbors attempt to befriend him. In the comic, Frank’s history had been redone to paint the picture of a man who was somewhat disturbed even before his family is killed. The film portrays a more-or-less normal guy who deals with the events rather harshly, which feels more natural, watching it all in my adult life. You would be a wee bit depressed I would think had your entire family been gunned down by the mob. These things were all things I didn’t care about back then. I wanted bombs, fist fights, and whatever other ways there were for Castle to kill the villains. But even when it comes to the villains, we get a little more depth than normal. While John Travolta and his family of criminal buttholes are just that, the reason for their retaliation is understandable even to us “normal” folk. Travolta, playing Howard Saint, has a son that’s killed during one of Castle’s sting operations; prompting him to seek revenge. At the time it was much easier to sympathize with Castle, our lead. Looking back though, it’s a bit easier to see things from another point of view. His son is dead and he has the means and will to make somebody pay for it. Anyone who’s had a death in their family may understand Saint’s motives, not that they would carry it out. This guy just happens to be in a position to easily do so. So kind of like Travolta in real life. I’m not a huge fan of Travolta but casting an A-lister that’s got more of a name than the title character really seemed to add to the underdog feel as well. You’re not exactly sure how far Travolta’s character will go against Jane’s because Travolta is so much more prominent in Hollywood than Jane is. So Jane’s less renowned status works for him here. Another thing I can’t believe I took for granted is Castle’s methods of destruction. I don’t want to pretend this film is genius by any means, but look at what he does to his Howard Saint’s life. He doesn’t just find a way inside Saint’s house and smother him with a pillow. He absolutely takes it to pieces. Castle turns one of Saint’s nobodys/lackeys into a mole. He then begins to systematically ruin Saint’s reputation with his partners in crime, factions of Saint’s trade, and even trick Saint into thinking his best friend is sleeping with his wife, which prompts Saint to kill them both. Once all of this is complete, Castle personally obliterates Saint’s refuge and his second son…then the rest of Saint’s empire before announcing his handy work and slowly ending the man himself. Ouch. After “punishing” the ones responsible for his misery, Frank even puts the gun in his own mouth before having a vision, if you will, of his wife telling him not to. This is all stuff I took for granted as a scene at the time because hey, he’s the Punisher, he’s not gonna do it right? I wasn’t taking into account what would go through the mind of a man who’s had his entire family murdered, I’d accepted that a long time ago. Now I can look back and see how deep and dark some of this gets. Don’t know what gave it away. I’m not saying these are good things, but they’re all things that help solidify the character who fits in less with Spider-Man and even Wolverine, and more with Paul Kersey or Dirty Harry. The films that featured these characters were evidently major inspirations for writer/director Jonathan Hensleigh who sought out to place Castle in a film akin to 70s revenge thrillers and shoot it as though it were something of a modern day western. 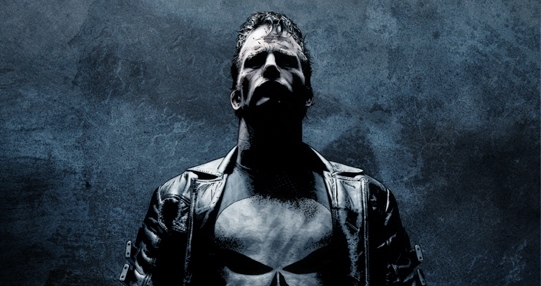 The Punisher’s theme itself has clearly been inspired by an Ennio Morricone score, something I really didn’t like at the time but really enjoy now. 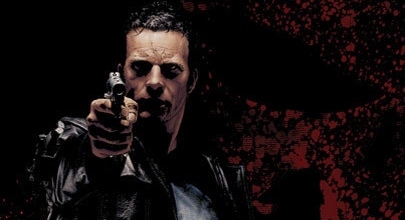 There’s also a lot of art done by regular Punisher cover artist Tim Bradstreet that fits the movie’s tone quite nicely. Will Patton gives a nice performance as Saint’s right hand man/masochistic henchman. Yet this movie has a 29% on Rotten Tomatoes which marks a “by-the-book revenge flick.” Don’t get me wrong though, this movie has its moments of cheese. What? You mean this ol’ thang? After Frank’s family is gunned down by the mob, he casually walks up to his former superior and ally on the force and just kind of calls them on their crap for claiming to be doing everything they can about crime in the city. You even hear a reporter yell out “Hey, I thought you were dead!” before they all clamor about a man who was thought to be dead. Then he walks off nonchalantly. Nobody follows him, nobody asks anymore questions. C’mon. But even still, there’s much to appreciate in this comic book movie that kind of seemed to stumble over it’s own feet in the race of super-powered comic book movies that were being spewed out at the time. The year earlier Daredevil, X2, The Hulk, League of Extraordinary Gentlemen were released with Spider-Man 2 on the way. Not that those were any good or that those movies are to blame for the way The Punisher was received , but when it came to comic book movies, super powers seemed to be the way to go. Producer of The Grey and Dredd, Adi Shankar, produced an unofficial Punisher short with Thomas Jane, Dirty Laundry, which you may or may not have seen. Though Jane seemed to genuinely enjoy the character, reading all the comics he could find, training with SEALS, and even re-teaming with Bradstreet for later comic endeavors, he and Hensleigh chose to leave the sequel that would have come out due to the direction the studio wanted to take the series. A shame too, seeing as to where they could’ve taken the story. In the middle of all the mutant powers and hulking out, taking death in film a little more seriously didn’t occur to me. 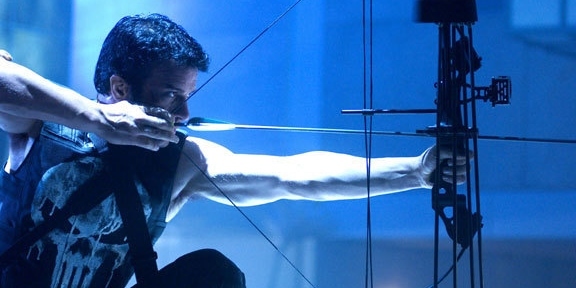 This entry was posted on 05/21/2014 at 2:52 am and is filed under Whatever with tags 2004, comic books movies, frank castle, john travolta, the punisher, thomas jane. You can follow any responses to this entry through the RSS 2.0 feed. You can leave a response, or trackback from your own site.